Does The Supreme Government Know Best? R.J. Rushdoony: 00:02 Does the supreme court know best? This R.J. Rushdoony with a report on our threatened freedom. R.J. Rushdoony: 00:09 Not too long ago, the US Supreme Court ruled nine to nothing that Federal Government may compel the old order Amish to violate their religious beliefs for the common good. These Amish had objected to paying the social security taxes, but Chief Justice Warren Burger held that social security is a common good, and the Amish must pay it. R.J. Rushdoony: 00:37 I was immediately reminded of the fact that the Soviet Union believes and maintains that it is the freest, happiest, and best nation on earth. But it keeps armed guards all around its boarders to keep people from escaping from all that happiness. If the Soviet Union were as good as it claims to be, the problem all along its boarders would be to keep people out. R.J. Rushdoony: 01:05 In the United States, our problem is illegal aliens pouring in, and they now number millions. The Soviet Union has the reverse problem. R.J. Rushdoony: 01:16 We have here, an obvious fact, but we refuse to learn from it. Social security is nearly bankrupt thanks to Washington’s usual incompetence. Federal employees want no part of it. If social security were as great a common good as Warren Burger pronounces it to be, it would be no problem getting people to sign up for it. The fact is, however, a rapidly growing number of people want out of it. R.J. Rushdoony: 01:48 Burger is talking the same kind of sense as the Soviet leaders. He calls a thing good, but he erects a fence to keep unhappy people in. We may soon see if the press gives it any attention, some people going to jail out of religious conviction rather than into the social security fence scam. R.J. Rushdoony: 02:12 The plain fact is that the same money invested in a private insurance or a pension plan would yield more returns than does social security. Moreover, if private companies managed things as badly as does social security, they would be taken to court by the Federal government. R.J. Rushdoony: 02:31 We have, for years, made fun of the claims of the Soviet Union. No one needs guards, after all, to keep people in a paradise, or inside a good thing. Then why are we threatening the Amish with jail if they refuse to go into social security? The Amish have their faults, like all of us, but their virtues are also very noteworthy. They are a hardworking, law abiding, and Godly people. They are not a drain on the taxpayers at large. They take care of their own, do not have a criminal element, and are faithful to their beliefs. 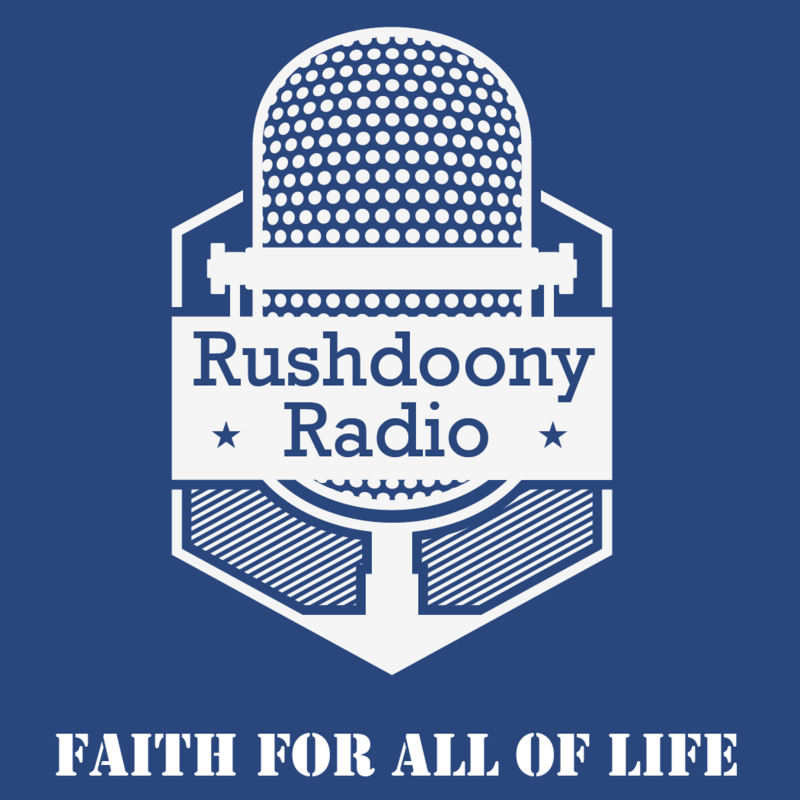 R.J. Rushdoony: 03:09 Something wrong is going on in a country when the Amish are hailed into court, when Christian schools are persecuted, and when very fine children are arrested for delinquency because they attend Christian schools. R.J. Rushdoony: 03:27 From the earliest days of the Soviet Union, it has been the best element which has been persecuted, Christians, university professors, writers, farmers, and other like persons who should be regarded as assets to a nation. R.J. Rushdoony: 03:44 The US Supreme Court with its Amish case has placed us on the same course of action. This is the same court that overturned the death penalty of a young man who killed a highway patrolman who stopped his car. The court ruled that the young man’s troubled upbringing should have been taken into consideration by the judge who sentenced him. Thus, the Supreme Court did not respect the Christian faith of the Amish, but it did show concern over a murderers home background. More than that murderer, the US Supreme Court is something to be afraid of. R.J. Rushdoony: 04:23 This has been R.J. Rushdoony with a report on our threatened freedom.